The social media and data collection efforts by Blu come as e-cigarette companies face a growing scrutiny over their products’ health impacts and popularity with young Americans. The Instagram page for a site calling itself “Pledge World” is filled with the kind of aspirational photos that have become common on social media: A woman poses on a beach with a surfboard; two people make a heart with their arms in front of the Eiffel Tower; a man backflips off a boat into a body of water. “Pledge World is your ticket to fulfilling a lifelong ambition — whatever that might be,” the account’s bio states. “Make your pledge #OWNIT.” The site encourages people to “pledge” to a journey or a lifestyle change, which makes them eligible to win a cash prize. What’s not apparent is that the photos are part of a brand campaign from Blu, a company that sells e-cigarettes, among other products. The posts, which do not identify themselves as advertising or marketing, do not link back to anything, but the account’s bio points to a website: Pledge.World. The exponential growth of the e-cigarette industry has led to a race among a variety of companies to gain market share and brand recognition. “Big Tobacco” faced its reckoning in the late 1990s and agreed to cease much of its marketing activities. 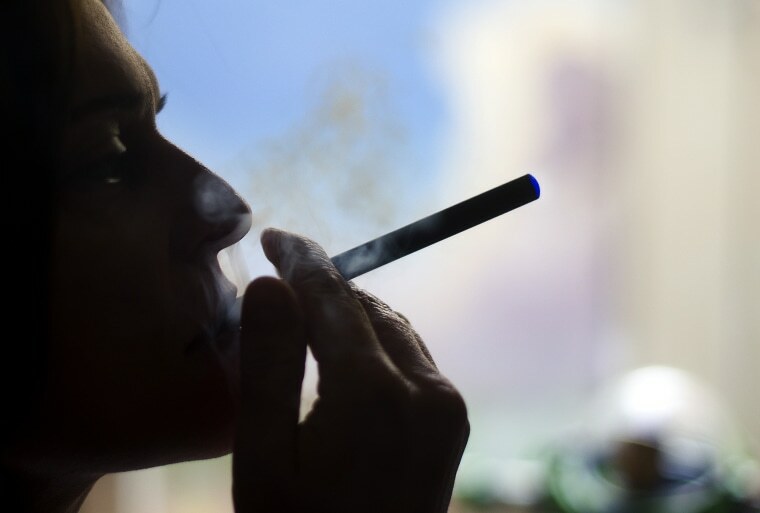 But in recent years, the e-cigarette industry has quietly amassed a following among young and loyal users who have been drawn to the battery-operated devices, flavored pods and companies’ assurances that they’re a safer alternative to smoking cigarettes. And in the process, some of the companies have been collecting consumer data. A pledge, in this case, is “the beginning of a potentially life-changing journey” in which people describe a “life-affirming” experience in 280 characters or fewer. To submit a pledge and a chance to win $1,000, the website asks for a variety of information: name, birthday, ZIP code, phone number, email and Instagram handle. The social media and data collection efforts by Blu — which includes Twitter and Instagram accounts — come as e-cigarette companies face a growing scrutiny over their products’ health impacts and popularity with young Americans. San Francisco, the home of market leader Juul, is even considering a ban on e-cigarettes. Juul collects personal information through purchases made on its platform, including names, addresses, phone numbers and birthdates. A representative for Juul told NBC News the company does not currently sell any customer data. The data of young people who are savvy in social media is valuable for a company like Blu. E-cigarette and tobacco companies are limited in their digital advertising opportunities by U.S. Food and Drug Administration rules and advertisement policies put in place by social media companies. To sidestep those rules, tobacco brands have turned to the world of influencer marketing, according to a report published in August by the nonprofit Campaign For Tobacco-Free Kids, and Netnografica, a consumer research company. The FDA declined to comment. In Blu’s case, the company is trying its own hand at influencer-style content. The nascent effort hasn’t gained much traction — most of its Instagram posts have a few dozen likes and its Twitter account has fewer than 150 followers. But it highlights how e-cigarette companies are trying to use social media to attract new users and collect their data while abiding by platform rules. Facebook, Instagram and Twitter all have policies that prohibit tobacco advertisements, but e-cigarette companies have been able to adapt Big Tobacco’s tactics for the social media age, according to Michael Kamins, a visiting professor of marketing at Claremont Graduate University in Claremont, California, who has also served as an expert witness in cases involving tobacco advertising. “It turns out that the internet allows them to use the same stuff they’ve done in the ‘90s and to be much more effective because the internet is in your face,” he said. Those tactics include using messaging that evoked glamour, rebelliousness and the sense of being on the cutting edge. Characters such as Joe Camel and the Marlboro Man were easily recognizable in the 1990s. Before that, from the 1920s until the 1950s, everyone from doctors to Santa were used in cigarette advertisements. In 2019, the people carrying the most clout are social media influencers. The messaging has worked. The global e-cigarette and vaping market is expected to be worth more than $26 billion by 2023, according to Allied Market Research. That’s triple the $8.6 billion it was worth in 2016. Blu’s campaign, which dates back to December, comes after Juul pulled its social media efforts in November. Juul’s official Instagram page is deactivated, but the product can be easily found on the social media platform, with the #juul hashtag surfacing more than 380,000 times. Ray Story, founder and CEO of the Tobacco Vapor Electronic Cigarette Association, a trade group that lobbies on behalf of e-cigarette companies, said that there is a significant difference between the social media efforts of Blu and Juul. Exploring new slang: What is 'juuling'? Story compared Blu’s social media efforts to beer advertisements that have been created within particular specifications to make sure they do not appeal to underage people, noting that Blu is owned by Imperial Brands, which has a variety of cigarette brands including Winston and Kool. While more muted than Juul’s campaign and not containing the company’s e-cigarette products, Blu’s marketing also taps influencers, including “The Bachelor” contestant Corinne Olympios, online fitness personality Mike Rashid and Anastasia Ashley, a professional surfer and model, who have posted to Instagram to promote the campaign. Kamins said the use of social media is designed to catch the attention of a young crowd. “Now you combine it with these cool, young, good-looking kids, and you suddenly, under the radar, have a pack of cigarettes in front of them and people say, ‘Wow, look at that cool person,’” he said. The report found that 123 hashtags associated with campaigns for tobacco products have been viewed 8.8 billion times in the United States and 25 billion times globally. And that's just on Twitter. In a petition to the Federal Trade Commission, Tobacco-Free Kids said companies are engaging in the “same marketing tactics” they have for decades, only this time they’ve been adapted for the age of social media.